Even though the Eagles didn't win, it was still a celebration for all New Jersey State Police. EAST RUTHERFORD, New Jersey -- After a great win by the New York Giants, the celebration continued with New Jersey State Police. 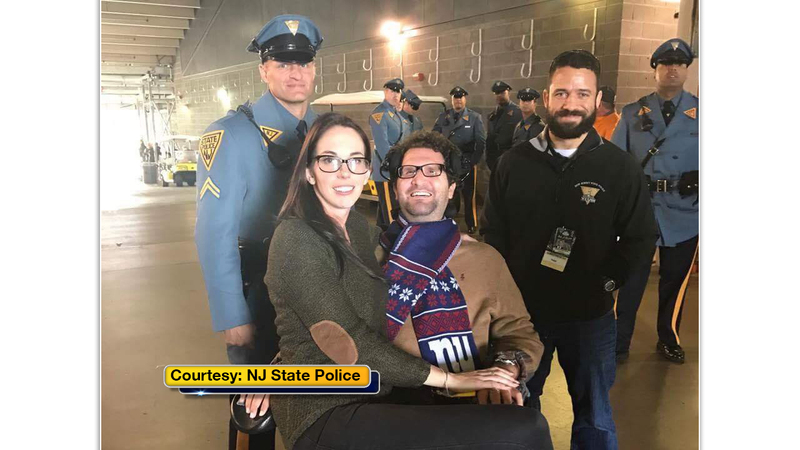 Retired Trooper Brian Malast surprised his girlfriend Julie Herb and proposed before Sunday's game at MetLife Stadium. Malast was paralyzed from the neck down in a car accident while on the job in 2005. He breathes with the help of a ventilator and attends therapy sessions twice a week. Malast got a little help from his fellow troopers to pull off the surprise in front of their family and friends. And his girlfriend said yes!